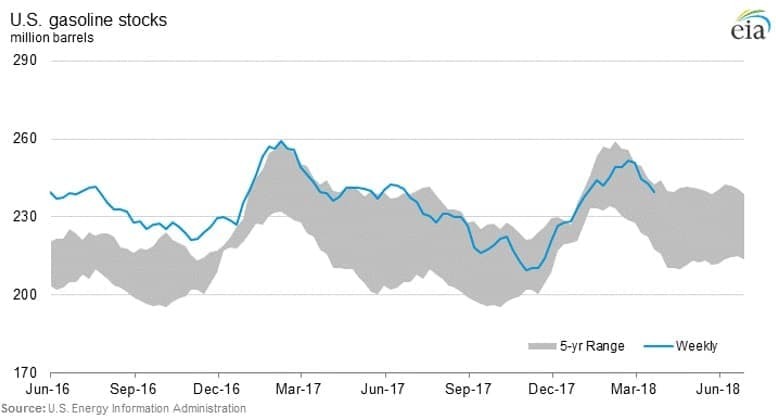 Oil prices continued their upward momentum on Friday, following a week of geopolitical uncertainty and bullish industry news. Oil prices closed out the first quarter on a high note, with Brent hovering around $70 and WTI at $65. 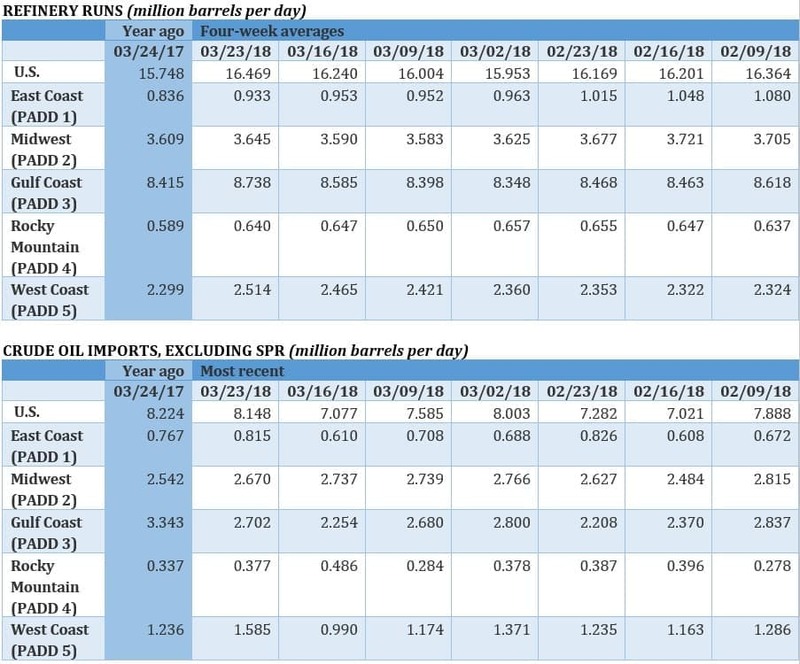 Rising geopolitical concerns – declines in Venezuela and fears that the U.S. will step up confrontation with Iran – are elevating crude prices. 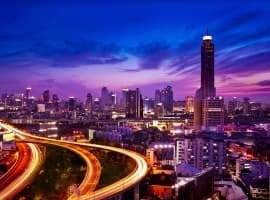 Saudi Arabia and SoftBank announce 200 GW solar plan. Saudi Arabia and Japan’s SoftBank announced plans to build a 200 GW solar project in Saudi Arabia, which would be about 100 times larger than the largest project currently installed. The project would be built in phases through 2030, and would amount to a major investment in Saudi Arabia’s post-oil economy. Still, there are questions about the viability of the project, given the multiple solar targets announced in the past that have gone nowhere. Related: Will Lithium-Air Batteries Ever Become Viable? 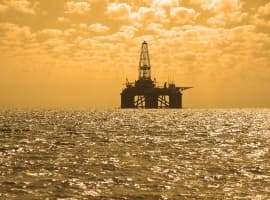 European oil majors scoop up shallow water assets in Mexico. 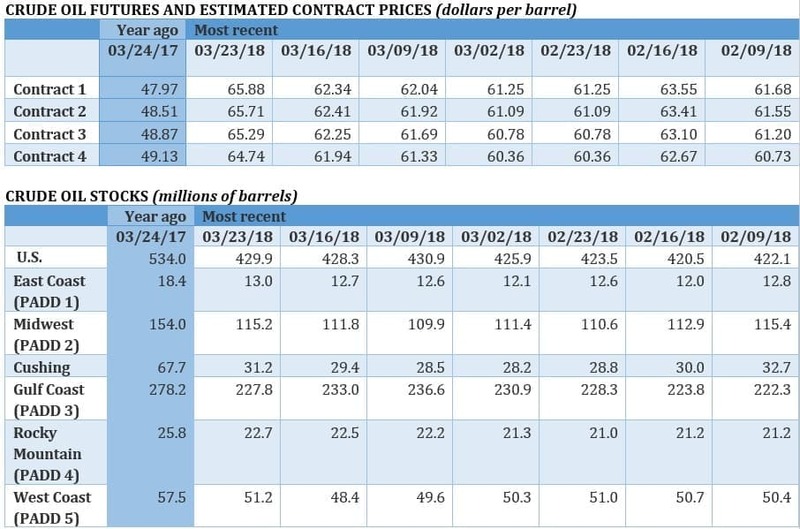 Mexico held a shallow-water auction this week, and several European oil majors successfully acquired tracts, including Royal Dutch Shell (NYSE: RDS.A), BP (NYSE: BP), Total (NYSE: TOT), Eni (NYSE: E) and Repsol (BME: REP). Unlike past rounds, ExxonMobil (NYSE: XOM) and Chevron (NYSE: CVX) stayed away. Notably, it was the last oil auction before Mexico’s presidential election in July. The frontrunner, Andres Manuel Lopez Obrador, has promised to halt future oil auctions if elected. ExxonMobil goes big in Brazil. While ExxonMobil (NYSE: XOM) took a pass on Mexico’s shallow water auction, it made a big splash in Brazil’s deepwater auction this week. Exxon was awarded eight tracts, the most among the 12 winning companies. The highest bid came in the Campos basin, and the investment marks a serious interest in Brazil on behalf of the American oil major. Concho Resources to buy RSP Permian for $9 billion. 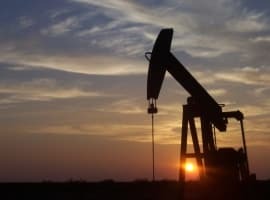 Concho Resources (NYSE: CXO) announced plans to buy RSP Permian (NYSE: RSPP) in an all-stock deal worth about $9 billion. The acquisition would form the largest shale producer in the Permian and some analysts think it could trigger more M&A activity. The purchase would represent the largest shale deal since 2012, but Concho’s shareholders are skeptical – the company’s share price fell about 9 percent – because of the hefty price tag. 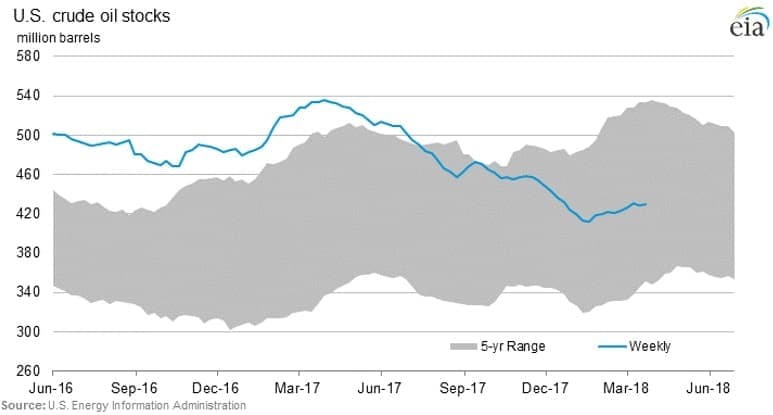 Meanwhile, the Permian is starting to see some pipeline bottlenecks, which could hamper the ambitious production forecasts published by a wide array of analysts. VW promises to buyback diesel cars if they are banned. Volkswagen said it would buy back new diesel cars if German cities move to ban them, hoping to bolster confidence in the diesel vehicles after a German court ruled in February that cities have the authority to ban them. Diesel car sales fell by 19 percent in Germany last month, as fears of bans are pushing consumers elsewhere. HSBC: LNG market facing supply crunch in 2022-2023. HSBC said in a new report that strong demand from Asia has meant that the LNG market has avoided the “glut” that many analysts had predicted up until recently. In fact, the LNG market faces the opposite problem: By 2022-2023, there could be a shortage of supply, the result of a slowdown in spending on new projects. The conclusion closely echoes a recent report from Royal Dutch Shell (NYSE: RDS.A), which warned of a brewing supply crunch in the 2020s due to a shortfall in project development. Tesla shares drive on credit downgrade. Moody’s Investors Service downgraded Tesla’s (NYSE: TSLA) credit rating this week, following a fatal crash involving one of its cars and ongoing problems with manufacturing the Model 3. Tesla’s share price has lost more than 13 percent this week, and the New York Times published a scathing article questioning whether the company even had a viable future. Three companies complain U.S. SPR oil tainted. Three companies that purchased oil from the U.S. strategic petroleum reserve (SPR) have apparently complained that the oil contains dangerous levels of hydrogen sulfide (H2S), according to Reuters. A concentration of H2S that is too high can corrode pipes and refineries. 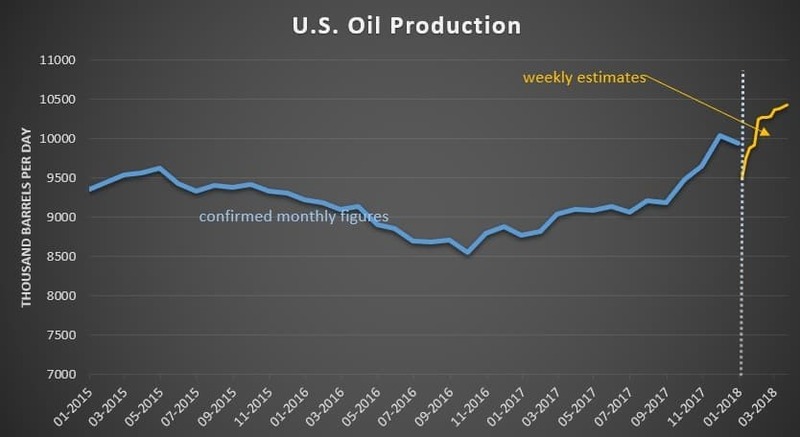 If there are broader problems with the quality of the remaining 665 million barrels sitting in storage, it would make the U.S. strategic reserve much less effective as an energy security tool. China moves to purchase oil with yuan. Fresh off the launch of its yuan-denominated oil futures contract, China is reportedly preparing to make some oil purchases later this year in yuan instead of dollars. It would be a shot across the bow as China hopes the yuan will rival the greenback as a global currency. Because oil is the world’s most traded commodity, shifting part of the oil trade to yuan would have enormous ramifications. "Being the biggest buyer of oil, it's only natural for China to push for the usage of yuan for payment settlement. This will also improve the yuan liquidity in the global market," a source told Reuters.